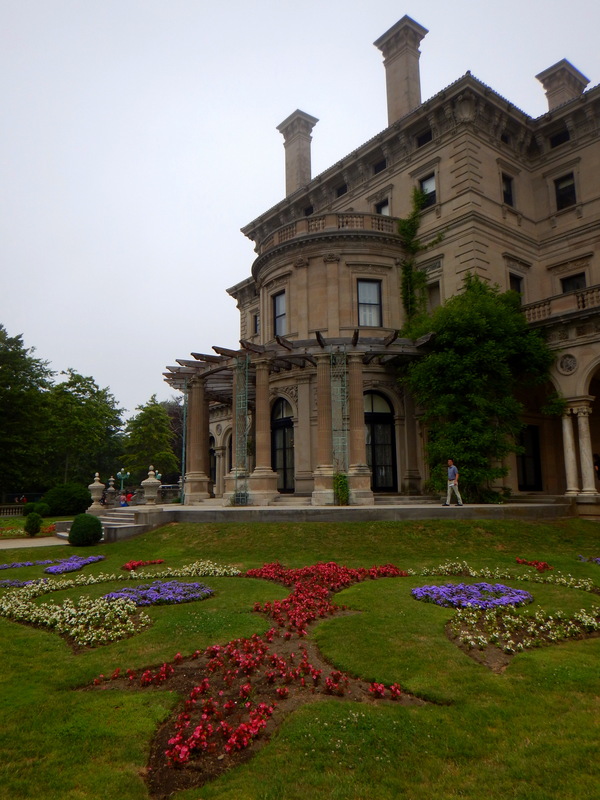 One of the places I most wanted to visit on my trip back to Rhode Island were the mansions of Newport. 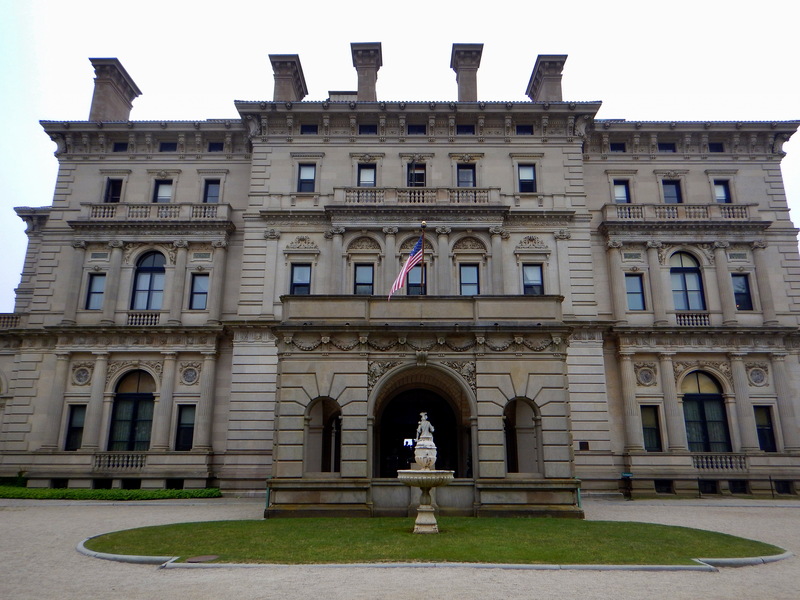 I very much wanted to do the Cliff Walk because it’s a nice way to spend the day but the mansions were a place my mom and I used to visit before either of us moved to Rhode Island; I had many fond memories of the day trips we made to Newport from where I went to school in Massachusetts. 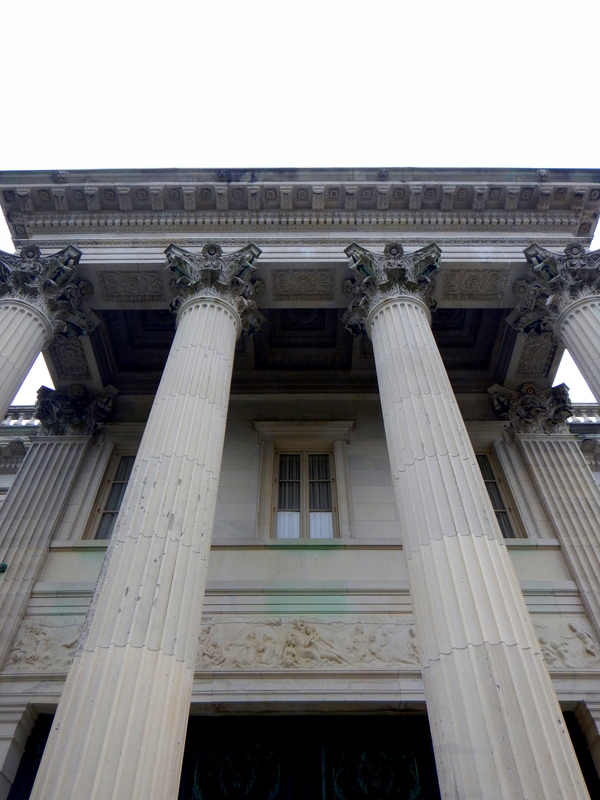 I was also interested in showing them to Alex because they are both fascinating as embodiments of excess and beautiful in attention to architectural detail. 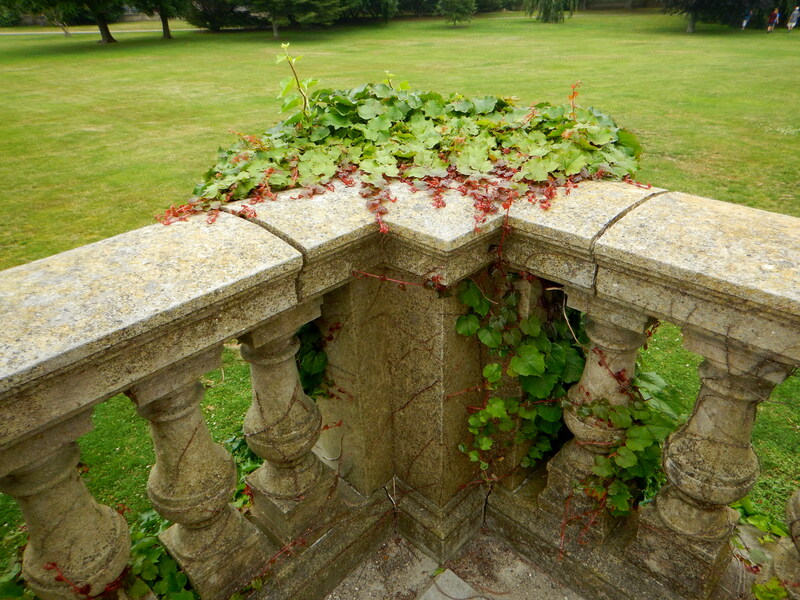 We had a bit of difficulty deciding which house to visit. 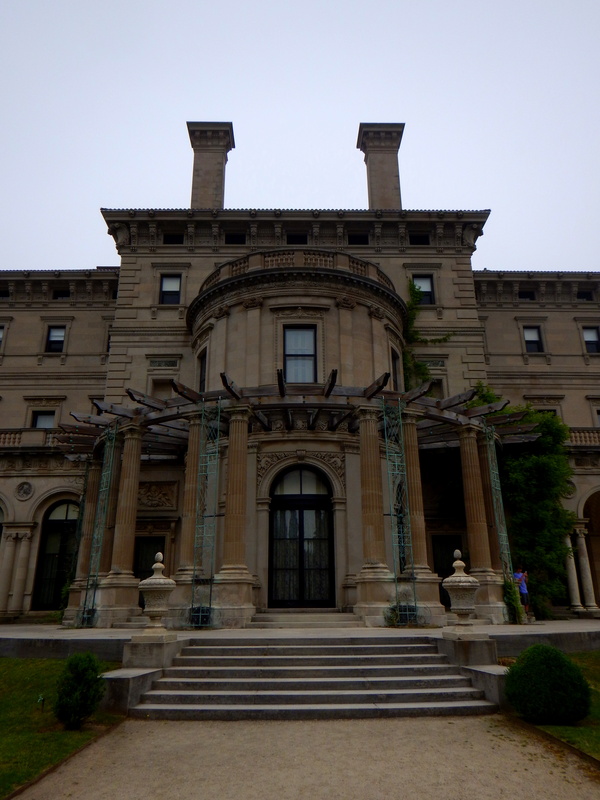 Actually Alex didn’t care, but I couldn’t decide whether to show him the most representative (which would be The Breakers) or the most lavish and ostentatious (Marble House) or my favorite (Rose Cliff). 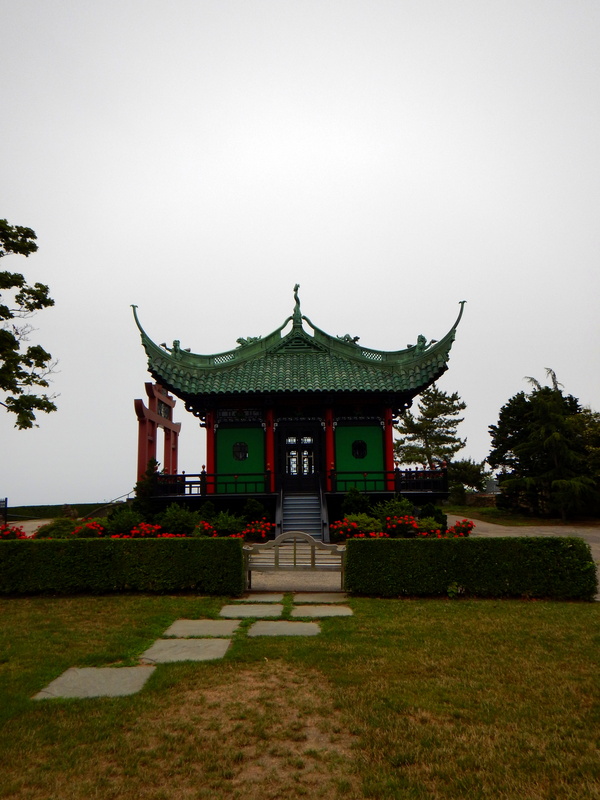 I was still pondering when he spotted the Chinese Tea House (which I had completely forgotten about) from the Cliff Walk. 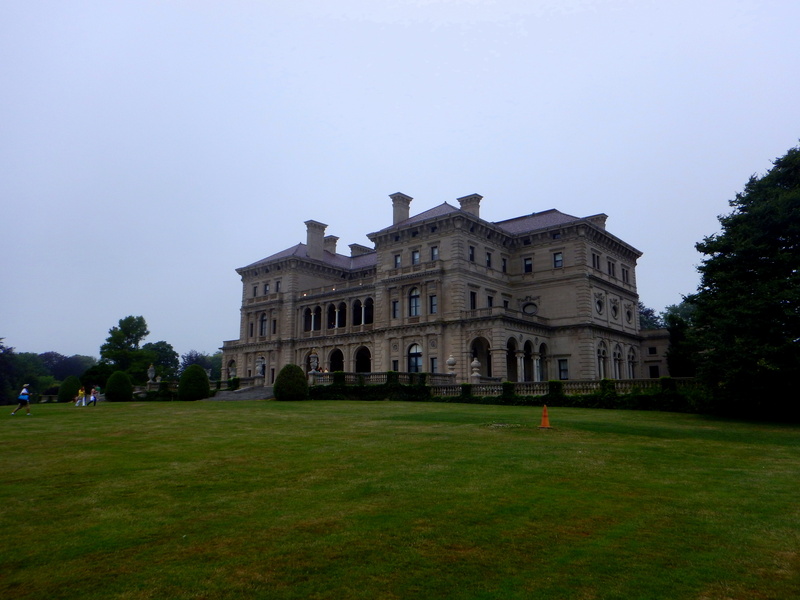 So with three options to choose from and the second house only costing $5 more per person, we decided to visit two mansions instead of one. 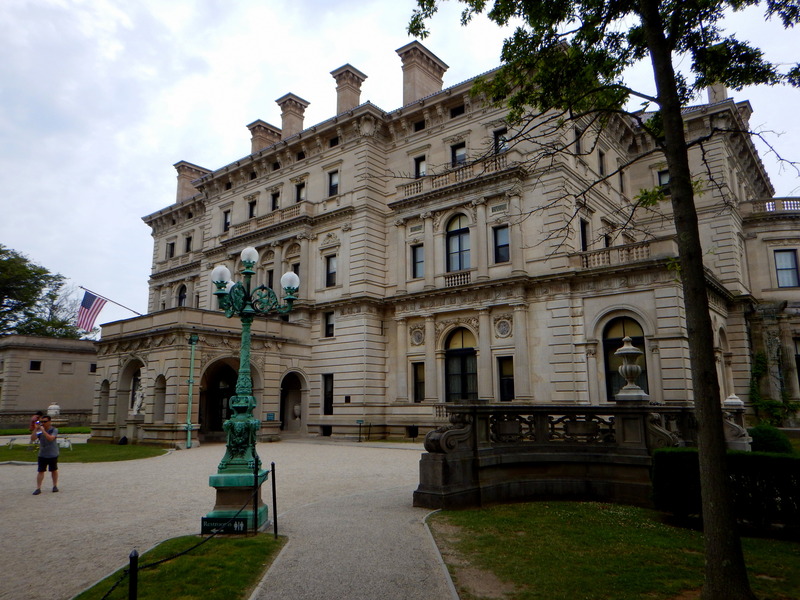 We started with The Breakers. 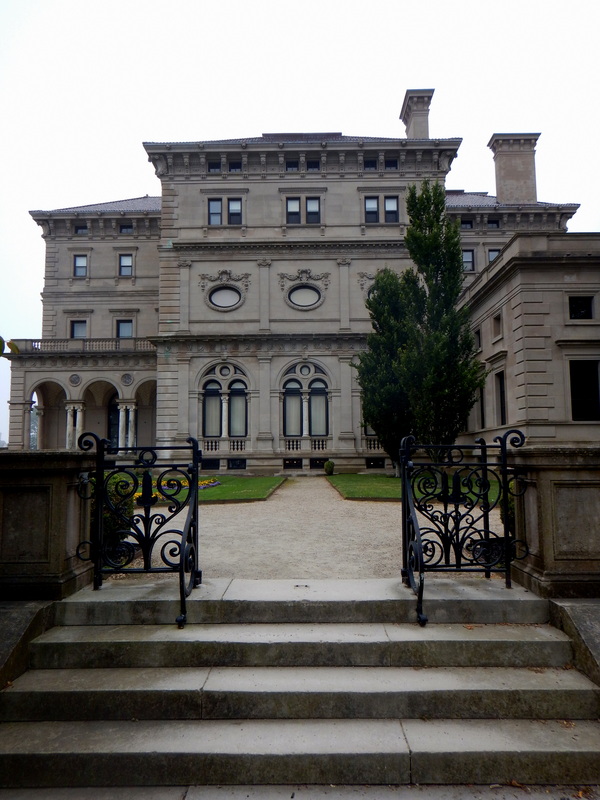 The Newport mansions are by and large examples of the neoclassical Beaux-Arts style, many designed by the famous American architect Richard Morris Hunt. 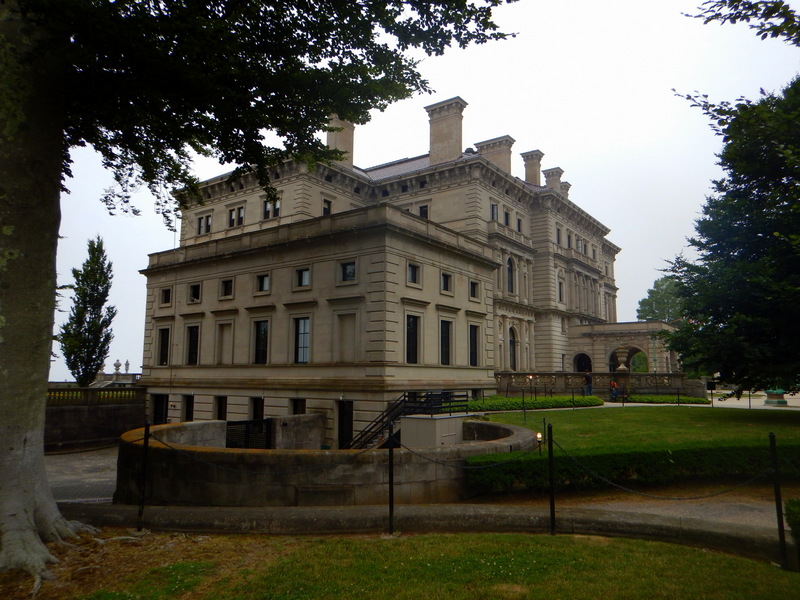 Built during the “Gilded Age” for the rising class of industrial tycoons, these mansions imitated the chateaus and great houses of Europe going as far as directly importing paneling, ceilings, frescos, and fireplaces from dismantled properties on the continent. 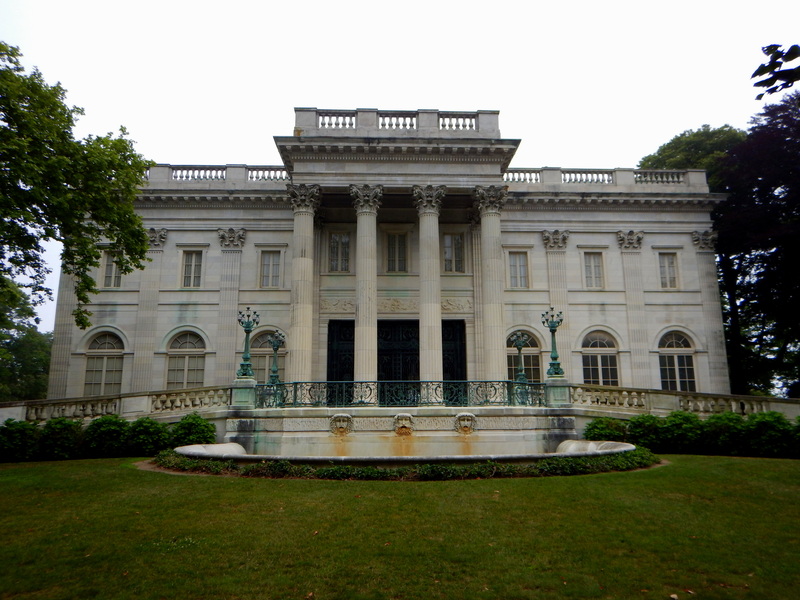 The Breakers was the largest and some claim the most opulent of the mansions on Bellevue Avenue. 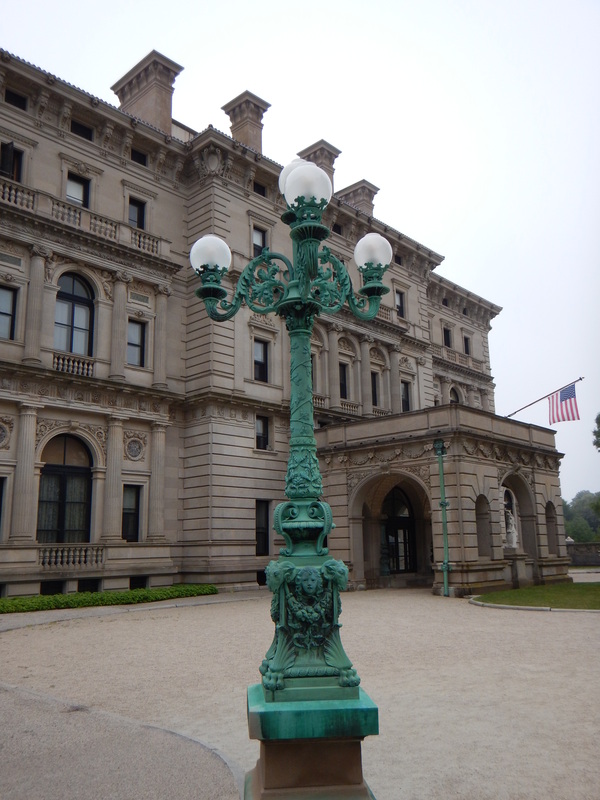 Built entirely between 1893 and 1895, the 70-room mansion is over 125,000 square feet and utterly mind-blowing in scale and decoration. 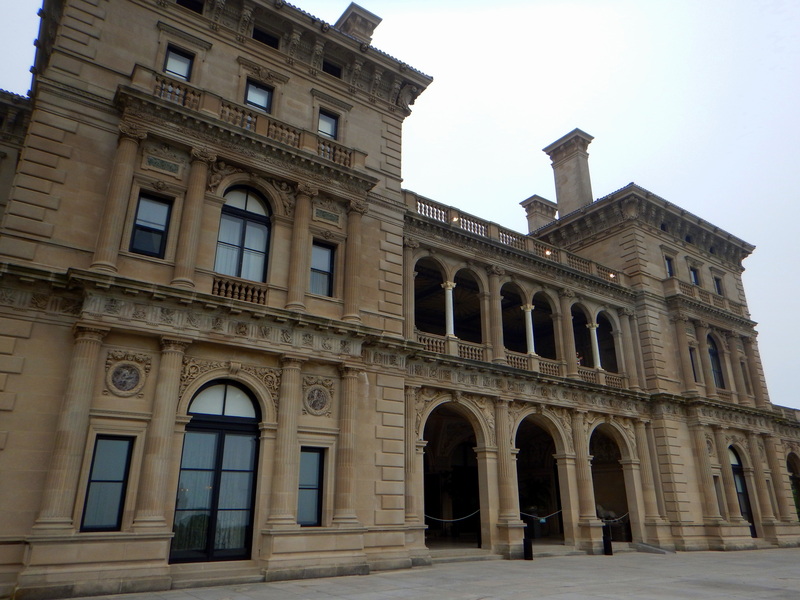 Unfortunately photography not allowed anywhere inside the mansions so I only have exterior shots (with the exception of the picture from the second floor balcony of The Breakers that was permitted) but the interiors were astounding and just as impressive as I remembered them. 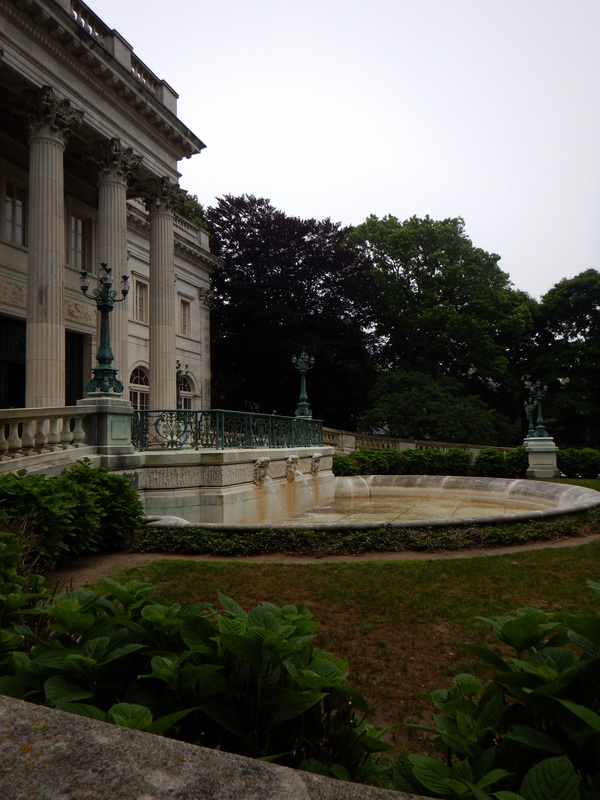 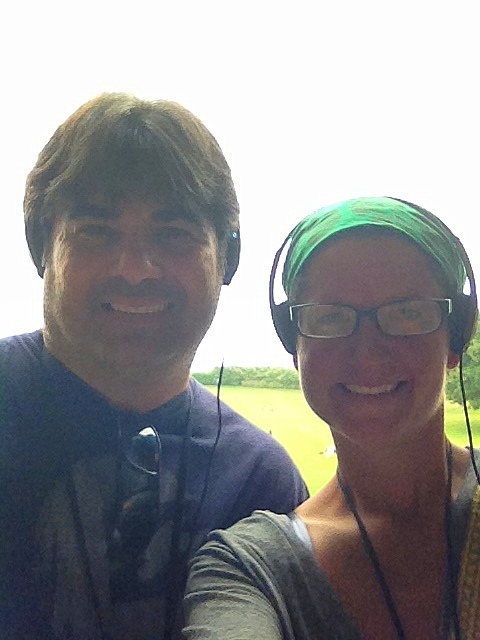 Because Alex was interested in seeing the Chinese Tea House we chose to visit Marble House after The Breakers. 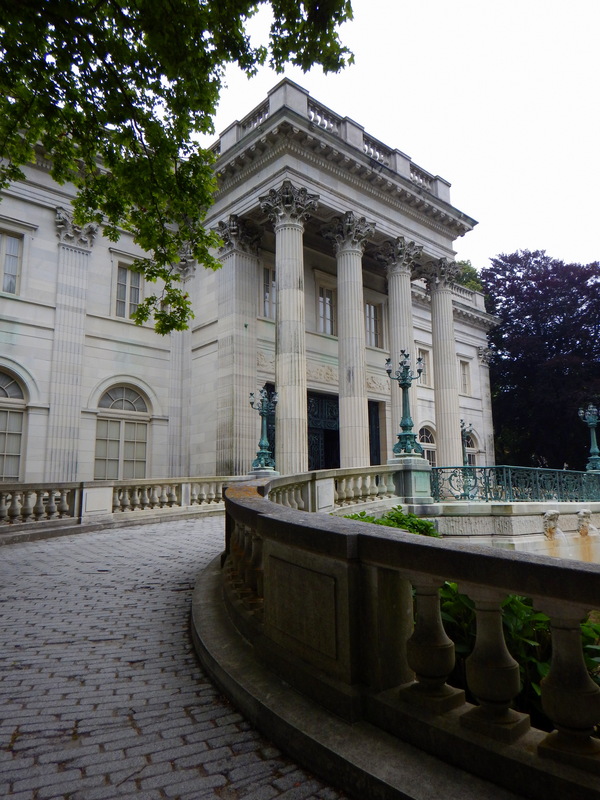 I would argue Marble House, modeled on a the Petit Trianon (a chateau built on the grounds of the Palace of Versailles for Louis XV’s mistress), is the most ostentatious; it contains 500,000 square feet of marble as well as rooms full of gold gilt panels. 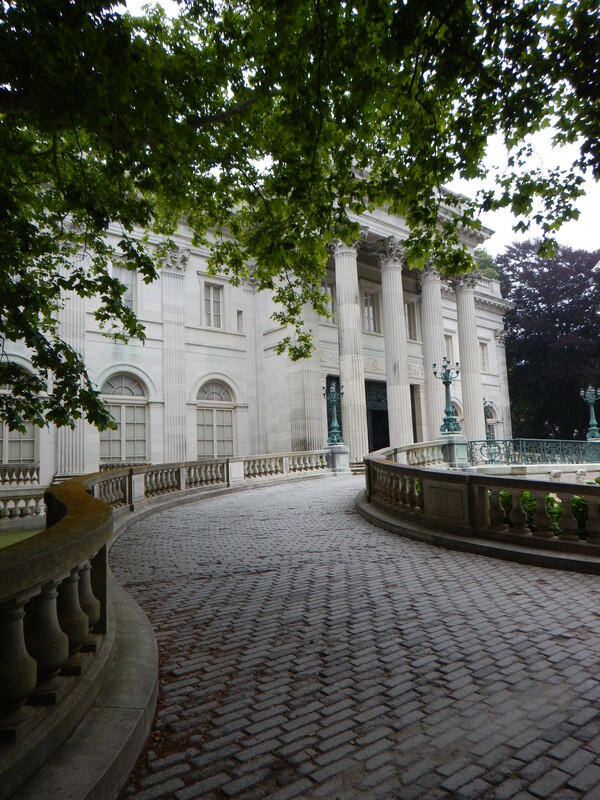 Built just previous to The Breakers, in 1888 – 1892, the 50-room Marble House was compared frequently to the White House for similarities between their respective porticos. 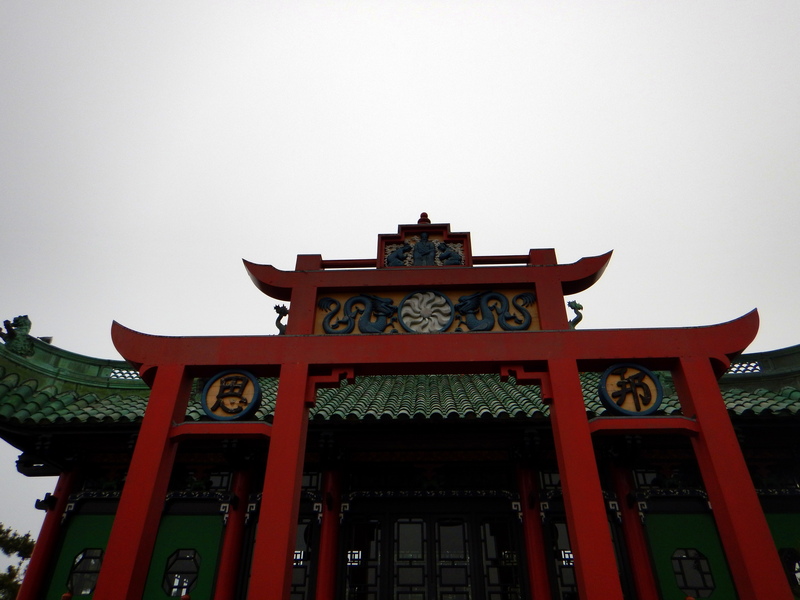 The Chinese Tea House was added to the property later and hosted many women’s suffrage rallies.